Not really dreaming of spring, since it already is feeling like summer today. Time to get outside before it really heats up! Sweet Hubby has been busy for weeks building the arbor in the backyard. Other that designing it, I have done nothing towards its construction. Usually I am more helpful, but this time he was happily working alone on it. And I had plenty of procrastinating things to do inside. 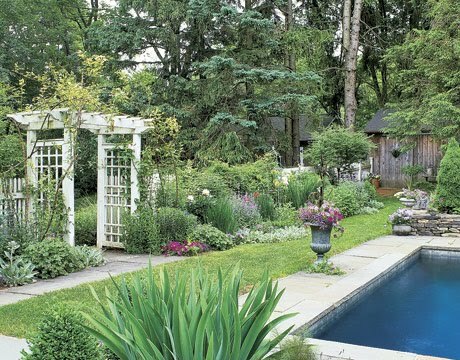 The arbor and pool along with beautiful gardens, in that first picture started out as a blank slate for that couple. What vision. Cottage in design and so welcoming. 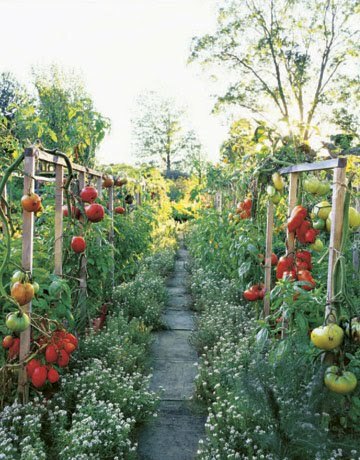 Our gardening actually began with vegetables many years ago, but has become more shrubs and flowers. The blending of the two is the perfect combination if you are willing to work at it. Vegetables don't always look as pretty as ornamental flowers. 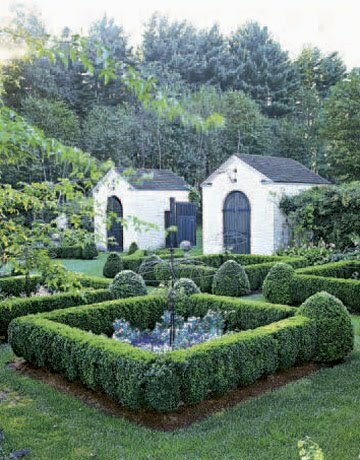 People who can pull this off so well are true gardeners. 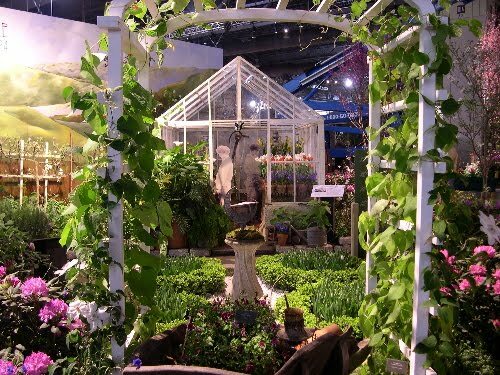 And a little bit of pretty from the Philadelphia flower show. No large scale flower shows like this near me, but I wish there was. I have loved even any of the much, much smaller ones I've seen. 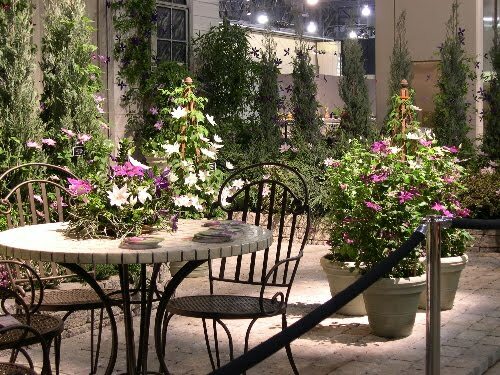 A simple table and chairs becomes magical with just the right setting, doesn't it. Beautiful images! I have joined you as a follower. I haven't lived in a house with a big enough yard for gardening for several years now. I had a very large property prior to moving with lots of gardens which I loved but burned out on. But, I am beginning to feel the itch again, thanks to your beautiful images. I don't know whether to thank you or not!! (Seriously, your blog is lovely).